Includes: 1 color video monitor, 2 cameras & 3 AC adaptors. Screen: 2.8-in. diagonal. 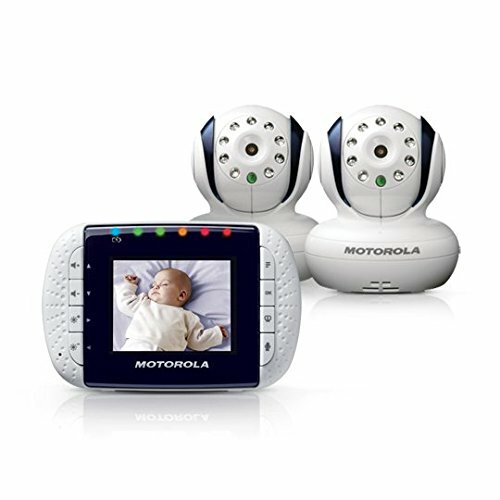 Featuring two cameras and a digital color screen, this Motorla baby monitor offers a crisp, clear picture in any light, giving you complete peace of mind.